You can edit and fine-tune your tracks on the map. 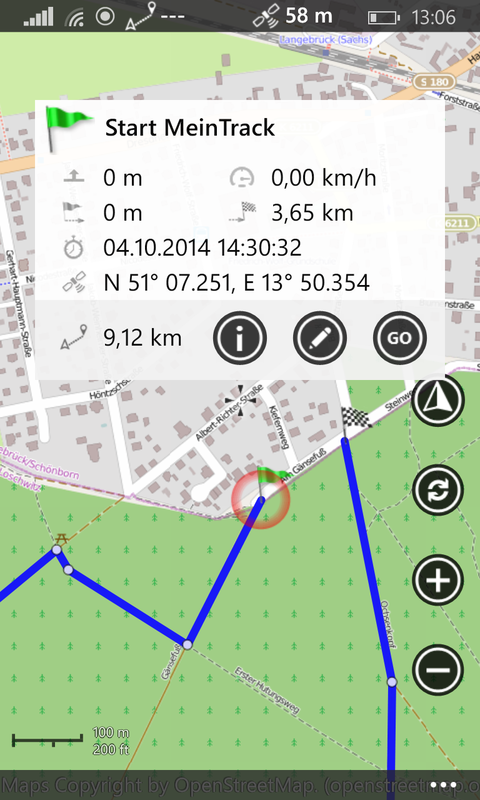 You can add or delete track points or move points to another position. Each point of an track can start the edit-mode for this track. Zoom in to at least zoom level 16 to see all track points. You should have activated at least one track for the map. Zoom in to zoom level 16. Move the map to the track points you want to edit. Tap on one of the track points. You will see a widget with information of this track point. Press on the edit button (this with the pencil). The edit-mode for tracks is activated now. You see instructions on the upper screen and some statistics of the track (length and number of points). Tap on the track point you want to move, edit, delete or add. The add-mode will insert a new point between the last selected point and the following point. If your selected point was the last point of the track, you can append new points by simple taps on the screen. 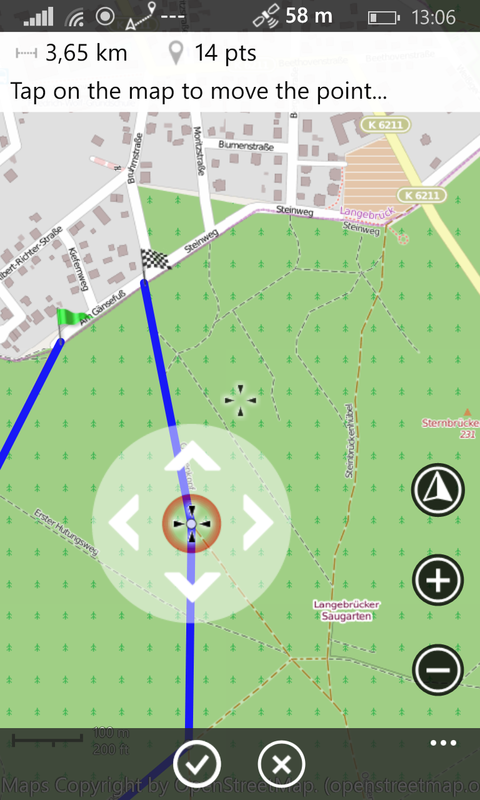 The move-mode will show a big circle around the track point which you can drag to move the point. You can press the back-button of your phone to cancel the edit-mode. Your changes will be saved automatically. 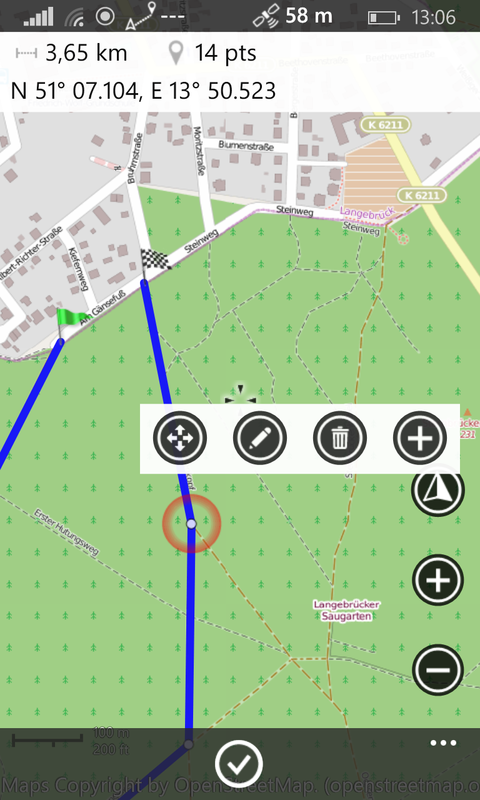 This entry was posted in HowTo, HowTo - Tracking by maaloo7. Bookmark the permalink.